Mark Lin and partner Wei Lee of Footwork Podiatry are known as the leading authorities in the provision of the toe nail bracing treatment in Australia. Ingrown toenails sufferers know just how painful and uncomfortable a condition that can be. Ingrown toenails can occur at any age, due to everyday movement or lifestyle habits. There are a number of causes of this painful condition, here are some causes. Improper trimming- cutting the nails too short can cause ingrown toenails. It’s important to clean the feet before trimming, and then cut the nail straight across using nail clippers or manicure scissors. Tight-fitting footwear – shoes, socks and tights affect the condition. If feet hurt when wearing shoes, something’s not right – maybe the shoes are too tight. Trauma- Athletes are more likely to get ingrown toenails from repeated pressure on the toes such as by kicking or running. Pressure from abutting toes – this can be caused by deformities of the smaller toes. Pincer nails – is an extreme curve in the nail can cause the nail to dig deeper into the skin. Pincer nails are more common as people age. The treatment for severe ingrown toenails has traditionally been surgery, Nail bracing is a revolutionary new treatment that is Simple, whereby the brace is simply bonded across the surface of the nail, and does not need to be pre-stressed or shaped. It’s Quick, applied in seconds and delivers a speedy healing process. Best of all it is Painless, the treated nail is gently lifted out of the nail fold. Mark Lin and partner Wei Lee of Footwork Podiatry in Sydney are known as the leading authorities for the provision of the nail bracing treatment in Australia. “Ingrown toenails are very common and anyone from kids to the elderly can suffer from them. Tight footwear, lifestyle habits or biomechanical factors such as flat feet and foot pronation can all cause ingrown toenails. However, some people are just genetically more predisposed to having ingrown toenails” says Lin. While surgery has a high success rate of curing ingrown toenails permanently, it appears nail bracing provides the perfective alternative for people with needle phobia and shortens the healing time and reduces the risk of infection (particularly in people with in diabetes). Lin explained, “The BS Brace System has been used successfully worldwide in over 30 countries for 29 years. It was first launched in Australia in 2015.” Footwork Podiatry are the first and only trained providers in Sydney to offer this revolutionary treatment. The BS Brace is a game changer. Using highly advanced technology, the treatment involves mounting a flat fiberglass brace to the ingrown toenail. The brace creates a spring tension that gently lifts and holds the toenail out of the nail bed, straightening the nail and the nail bed in the process. “The basic principle is based on the same physical laws as that of a leaf spring, using pressure and counter pressure. The brace fits the shape of the nail automatically and the resulting resetting forces shape and flatten the nail,” explained Lin. “The nail brace is absolutely safe and suitable for everyone, even those who have diabetes. 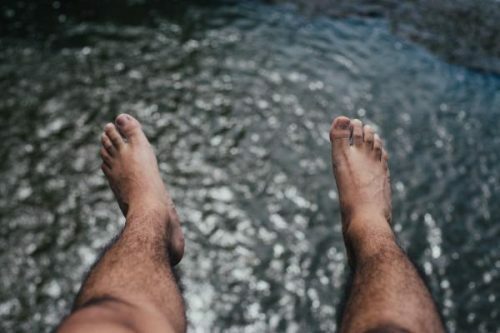 The mission is to provide alternative treatment to people currently suffering from ingrown toenails as well as the millions who are susceptible to developing the condition,” says Lee. Footwork Podiatry are situated in Roseville on Sydney’s North Shore and Sydney CBD. (Ingrown toenail nail bracing only available in Roseville). Contact them to receive the best treatment advice for ingrown toenails. Passionate about helping people to improve and maintain their health, Footwork Podiatry believe that looking after the feet is the key to maintaining an active healthy lifestyle. For further information, visit the Sports and Podiatrist Clinic to book online, or call Mark Lin or Wei Lee on +61 2 9416 7889. This information is provided in good faith and is not intended to be nor is it to be used as a substitute for any sort of professional, medical or podiatric advice. An accurate diagnosis can only be made following a personal consultation with a podiatrist. Any users should always seek the advice of their podiatrist, or other qualified healthcare providers before commencing any treatment.